Each Find-Difference game is different from others only if you add some new music, icon elements in, you can create a new style. The output APK files are easy to be transmitted through data line, Bluetooth, download nline. The wallpapers are exactly designed yourself. They are your style. User-friendly software operation interface doesn’t require you are computer proficient. 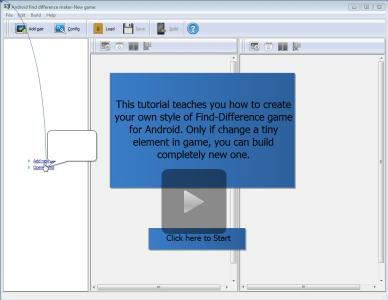 Play The game of Find Difference is relaxing and full of enthusiasm. 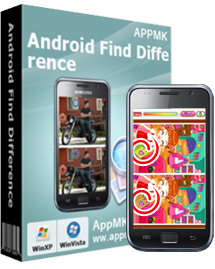 The particular manual and considerate after-service help you know best of Android live wallpaper maker. It includs the whole creating app process, test and install, even how to publish online, etc. Once purchased, you can build innumerable apps without any additional payment. If you are not comfortable ordering online with a credit card, you are welcome to choose an offline order option in the payment section of the order process. We accept mail, fax, wire, and PO (if applicable) ordering options in addition to ordering online. We also provide phone orders through our 24x7 order desk at 1-877-353-7297, or (952) 646-5331 for International Callers after you have known the product number (Android Book App Maker: 9891-135). Please note that all of the offline ordering options do have additional fees for processing. To place an order by mail, fax, wire, and PO (when applicable), use the online form and then choose one of these payment options found in the Payment Method section of the form. Once submitted online, the appropriate information will be provided to you in your web browser to send your payment to us off line.Want to custom the program or have other questions about purchase?